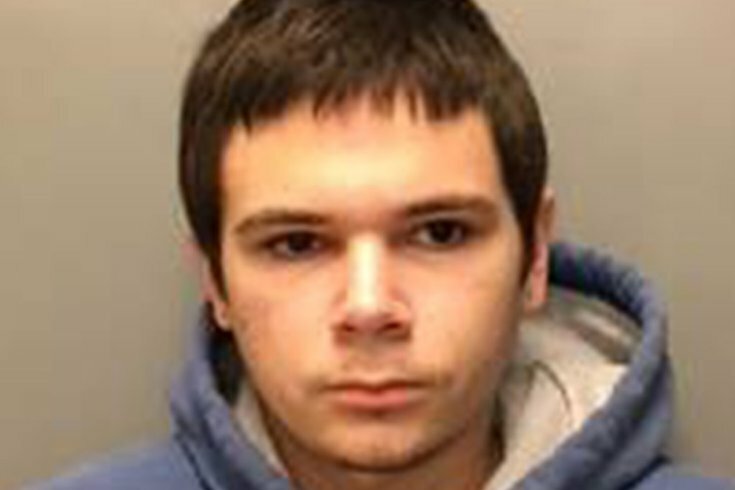 Joseph Bezanis, 21, of Telford, was charged with Homicide by Vehicle DUI and related offenses after an April 6 crash into a home on Harleysville Pike in Franconia Township, according to authorities. A Telford man was arrested Monday and charged with killing an 86-year-old Montgomery County woman sleeping in her bed. Joseph Bezanis, 21, was charged with Homicide by Vehicle DUI, DUI, Reckless Endangerment of Other Persons, Reckless Driving and related offenses after an April 6 crash into a home at 349 Harleysville Pike in Franconia Township, according to authorities. Marianne Lambert, who lived in the house, was found crushed against an interior wall and pronounced dead at the scene, authorities said. Officers responding to the scene shortly after midnight found that a 1995 Toyota had left the roadway and smashed into the house, breaking through a cement block wall and fully breaching the first-floor bedroom, police said. Bezanis, identified by police as the driver of the Toyota, was taken to Lehigh Valley Trauma Center for treatment of non-life threatening injuries. An investigation determined the car was traveling westbound on Harleysville Pike and failed to navigate a curve in the roadway, authorities said. The vehicle then apparently jumped the curve into a lawn, traveling 539 feet across three more lawns before going airborne and flying 21 feet into the side wall of the house. Analysis of the tire tracks indicated no signs of steering nor braking action, officials said. Toxicology results on the Bezanis' blood revealed a blood alcohol content of .172 percent, as well as the presence of THC, the major active component of marijuana and cannabis, authorities alleged. Additionally, the investigation revealed that Bezanis was allegedly driving at 83 mph in a 40 mph zone. "The defendant's decision to use marijuana as well as drink at a local bar turned deadly when he got behind the wheel of his vehicle and drove impaired," said Montgomery County District Attorney Kevin Steele in a news release. "The defendant turned his vehicle into a lethal weapon that killed a grandmother as she was sleeping in her bed. His actions have left a family without a matriarch and have forever affected their feelings of safety in their own home." Bezanis was arraigned Monday before Magisterial District Judge Maureen C. Coggins of Red Hill, who set bail at $100,000 unsecured. Additional bail requirements include bans on operating a vehicle as well as use of alcohol or controlled substance. A preliminary hearing is scheduled for 9 a.m., April 30 before Magisterial District Judge Albert J. Augustine of Harleysville.